Some of the most-frequently asked questions on Flippa are on the topic of selling a website. What makes a good listing? How can sellers make sure that their listing is viewed by as many people as possible? What’s the best way to manage bids and questions from potential buyers? After the success of our Pro Guide to Buying Websites, which is downloaded around 700 times per month, we gathered the best advice on selling a website into our new guide, How to Sell Your Website, available for download from our Guides page. Collecting payment from the highest bidder. Together with our help pages, there’s now a wealth of information for website sellers on Flippa. 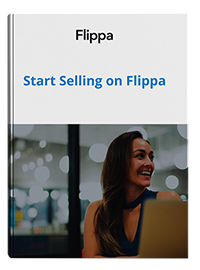 While the guide is intended for first-time sellers, it also contains detailed information on how Flippa work, useful even for seasoned website-selling veterans. We’d like to thank Thomas Smale of Flipping Enterprises, an experienced website seller who reviewed the book and helped make sure it covered every important topic. Did we omit something important from the new guide? Do you have suggestions for our next guide? Let us know in the comments!